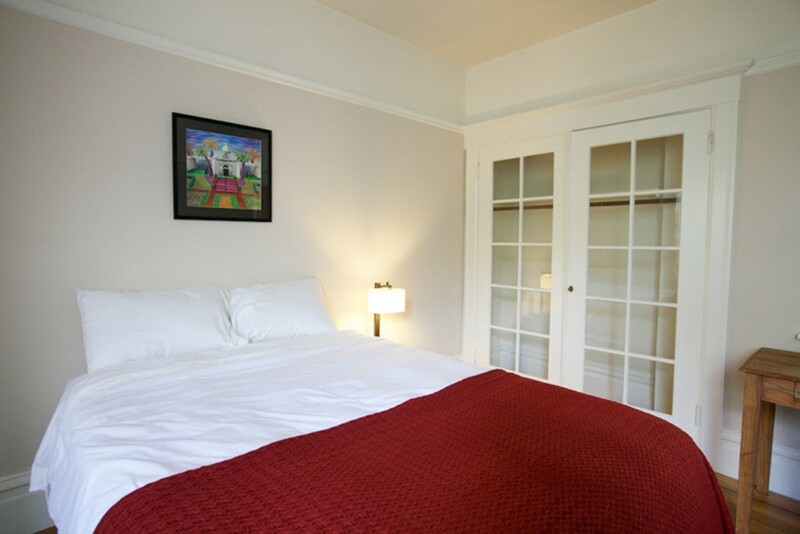 The Pacific Studio is an oasis of tranquility in one of San Francisco's most prestigious neighborhoods. 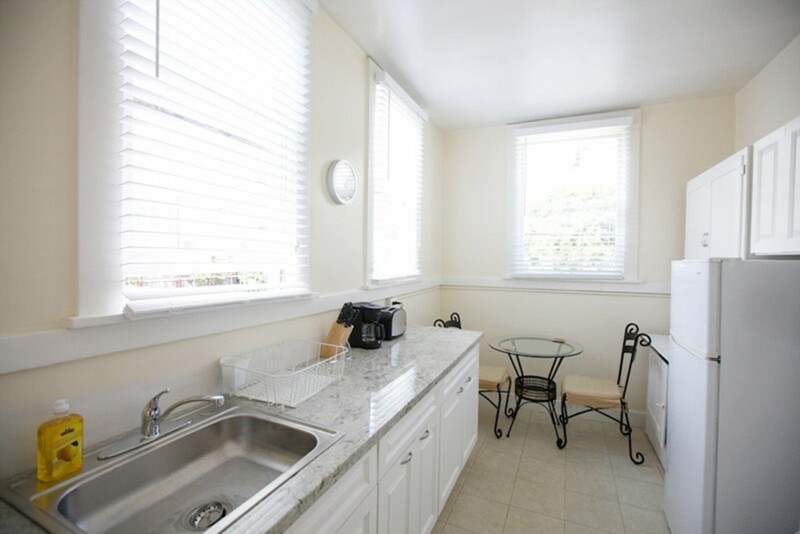 The studio is in the back of a classic Pacific Heights building and features a view onto a professionally landscaped garden. The upscale shopping and dining area of upper Fillmore Street is only one block away. 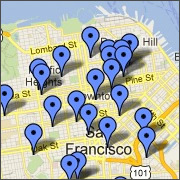 Alta Plaza Park is just half a block west. Climb the grand staircase to magnificent city views. 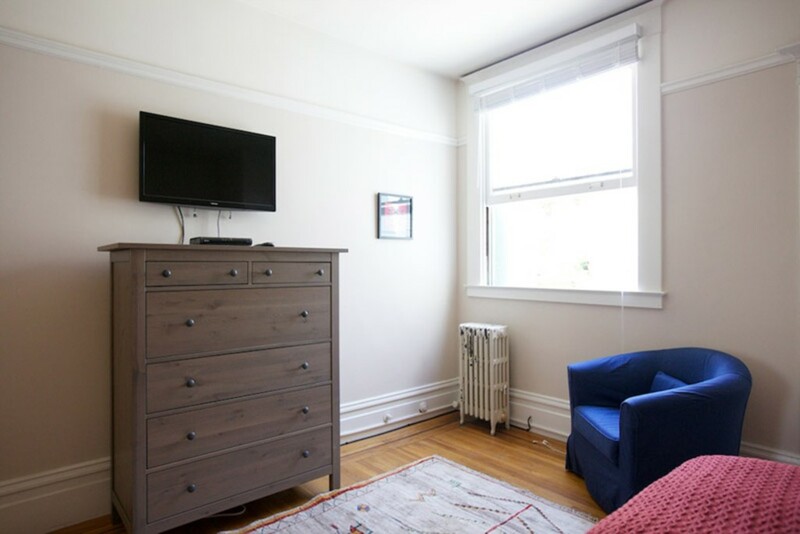 The location of the property is very central and just one block away from public transportation. You will enter the building lobby and climb the stairs to the second floor. 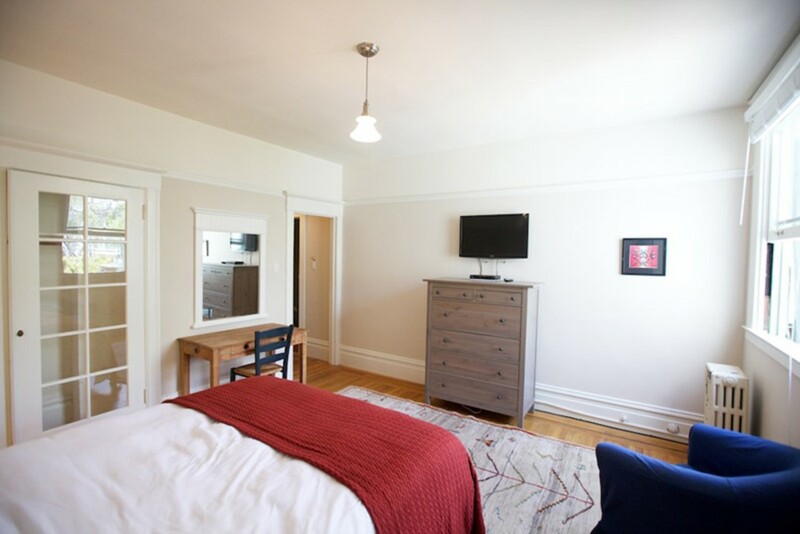 As you enter the studio, you will find a comfortable bedroom with a Queen sized bed, dresser and television, desk and chair. A full bank of windows overlooks the beautiful garden. 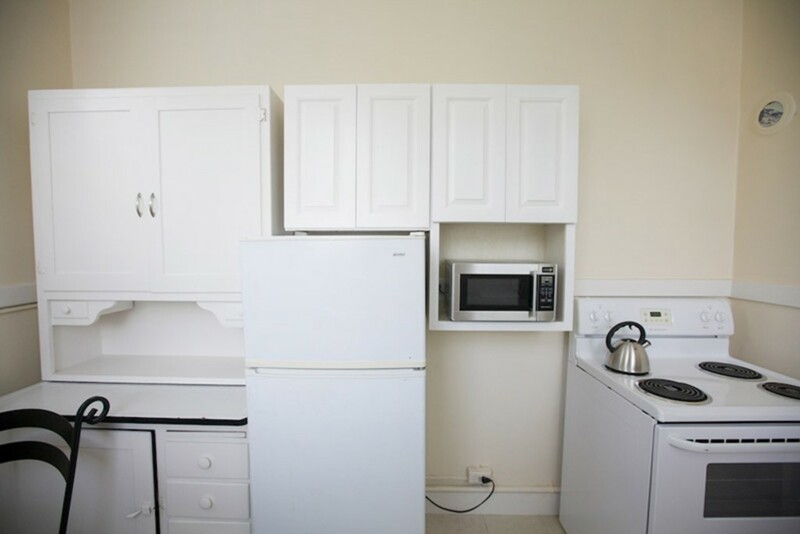 There is a separate and fully stocked kitchen with an eat-in dining area. 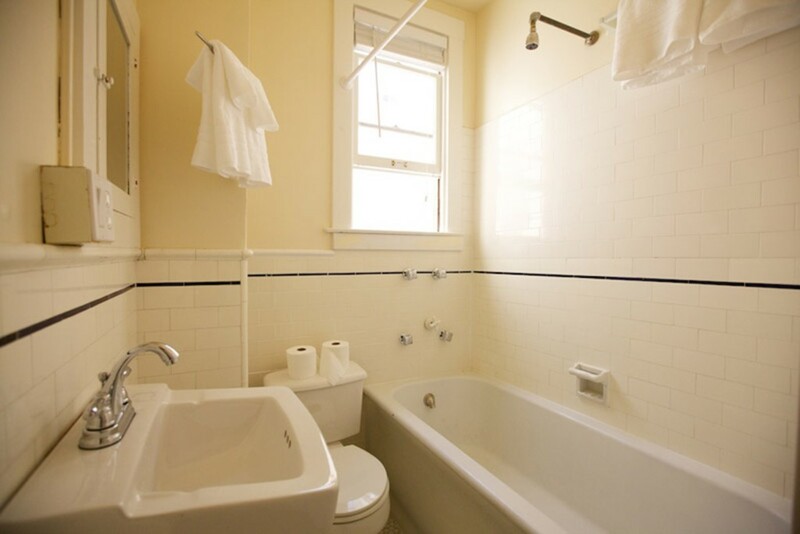 There is a fully tiled bathroom adjacent to the bedroom. The unit has a deck that is shared with one other unit and any guest also has access to the garden. There is a coin-operated laundry in the basement. 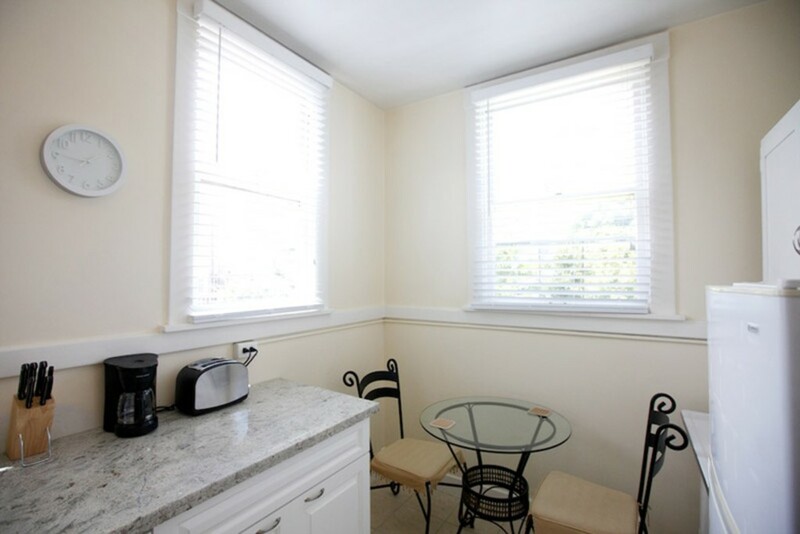 Amenities include cable, internet and all utilities in addition to linens and cooking equipment. 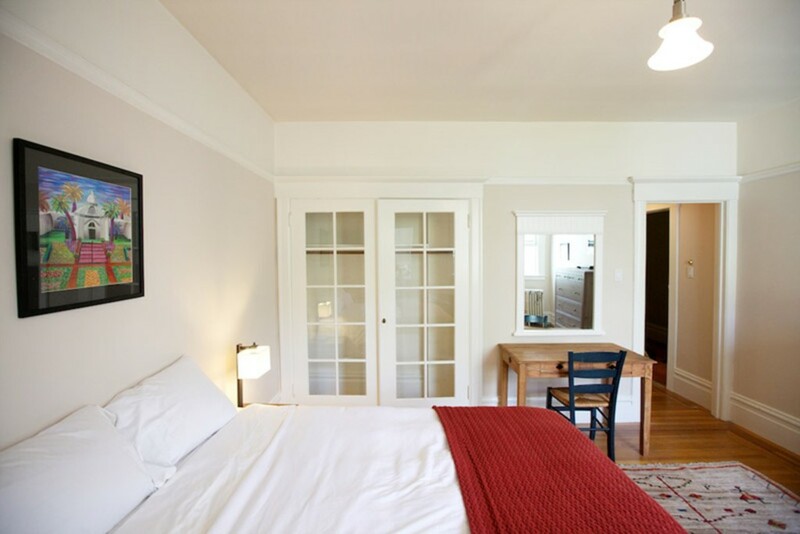 Our Pacific Studio is perfect for a couple or an individual who requires an extended stay in San Francisco. 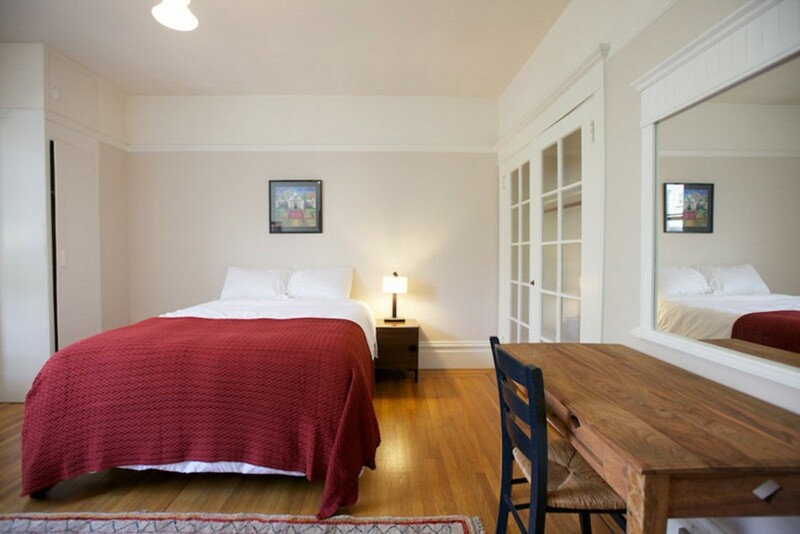 The great natural light, comfortable furnishings, and excellent location make our Pacific Studio a good choice for any visitor.